Whether you need to renovate, build from scratch, or convert an interior space, we are here to help you discover the perfect design – a design distinctly based on you and your individuality. We are a Melbourne based design studio that specialises in creating unique environments that encourage good health, that inspire the soul, and do not cost the earth. Cathi Colla Architects – supporting your well-being, your family and a more sustainable community. Eco Edge Architecture + Interior Design is a boutique design practice specialising in architectural excellence; applying environmental intelligence to each and every project. We seek to provide personalised and innovative contemporary architecture. For more than 15 years Kirsten Johnstone has been working with her Clients all over Melbourne and beyond, meeting with people in their homes; listening, engaging, understanding. She fashions tailored and sensitive design solutions for people of all ages and stages. Kirsten brings a refreshing approach to all that she does – with passion and thoughtfulness; integrity and honesty. Her innovative aesthetic and hard work is paying off – her Clients now seek her considered and elegant aesthetic on their next project and pass on her name to family and friends seeking design services. Kirsten works from her home studio, conscientiously practicing her craft – drawing, making, forming, refining. She is involved with each and every project from pre-design to final completion. We understand each project deserves individual attention to detail and we welcome Client engagement and regular contact throughout the project to provide a warm and engaging home for you. Atlas Architects are emerging, creative problem solving architects. We specialise in residential renovation & extension, new homes, education, hospitality, and retail. Our focus is on high quality, on budget project delivery, and an enjoyable process through the building matrix for our clients. Minett Studio is a Melbourne based design studio specialising in bespoke residential architecture and interiors in the inner city, coastal and rural Victoria. We specialise in quality residential homes, renovation and restoration work and weekenders including beach and farm retreats. We also have extensive experience in multi-residential development including townhouse and apartment developments. We are a client orientated practice where each design evolves from working closely with you to understand your individual brief and aspiration; with the end result being a tailored personalised design. Minett Studio has over 15 years’ experience in project feasibility, detailed design, 3D visualisation, documentation and contract administration. We have won a number of awards for House and Garden “best room” of the year, rising star award and emerging practice. We work with some of Melbourne’s leading builders and consultants including; land and building surveyors, civil, structural and services engineers, energy efficiency consultants, automation specialists and landscapers, ensuring premium quality construction and efficient project management. Together, this team with creative minds and technical expertise deliver our exemplary architecture. When you hire an architect, you have a professional on your side who knows the construction industry inside out. You are working with someone who has undertaken seven years of architectural training – no other building professional is trained in design and construction to such a high level of expertise. The term “Architect” is a protected title and Australian law requires those that use it to be registered with the Architects Registration Board (ARB). Rara Architecture finds creative solutions to solve your living needs as you evolve. Using timeless architecture and interior design principles, Rara's goal is to produce a design that grows with your family, makes a positive contribution to the neighbourhood, and keeps mother nature on our side. Wesley didn't grow up with much, his family emigrated from Egypt and lived in a small house in Melbourne's West. This directed Wesley's creativity toward architecture, out of the desperation to see his home work more intelligently for his family. "One of my biggest bug bears was that we had no north facing windows in our living room, despite having an external wall". Since then, Wesley has been determined to improve buildings with thoughtful design; "you don't need to spend millions or fit your home out with the latest trend in stone or technology, you just need to be thoughtful about how the home functions and for whom it is functioning". Rara have created a niche in solving planning and layout dilemmas for clients across Melbourne and are proud to say they have improved the lives and lifestyles of their clients for many years to come. 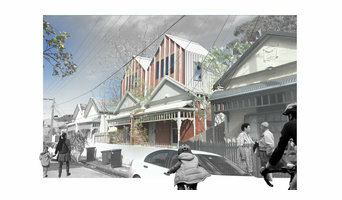 Antony Di Mase established Di Mase Architects in 2002 as a design led architectural practice. Our core values include Creativity, Professionalism and Sustainable Approach to our work. Our approach to architecture is to: Strive to create designs that respond to real people, Connect people to their environment and Make the best possible use of the resource. SG2 design is a multidisciplinary practice that specialise in architecture, interior design and project management. It's founder, Sebastiano Ghezzi, is an Architect with a broad interest in all aspects of design and pays a close attention to detail. SG2 design strive to satisfy the client's brief through the creative process, where environmental sustainability through proper building orientation and materials selection play important roles, both morally and practically in reducing ever-increasing energy bills. Our objective is to 'tailor' each project to suit individual needs and desires and often exceed initial expectations in the final product. Please contact us for an obligation free quote. Statkus Architecture is an energetic architectural practice focused on considered, engaging and sustainable outcomes, established by Ben Statkus a registered architect who has been in private practice since 2004. 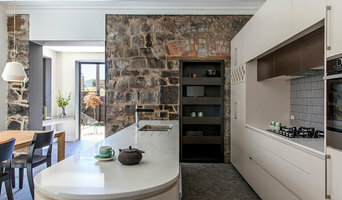 We are a little firm based in Northcote comprising 3 dedicated staff and enjoy the satisfaction that comes with hard work and the pleasures of seeing ideas turn into drawings, into construction sites and into finished buildings. Most of our current and recent work has been small and medium sized home renovations and extensions, multi residential developments along with local government, retail, hospitality and community projects. We specialise in residential-scale work and undertake projects that range from extensions and renovations to new homes and multi-unit developments. We believe that good design should bring to life the ideas and aspirations of clients, maximise the potential of sites, enhance and add to the characteristics of existing structures and environs, be economical and environmentally sustainable. We are passionate about bringing these principles to bear on every one of our projects. Our process emphasises close engagement with our clients in order to understand their needs and ideas, to distil them and use them to develop a truly satisfying design. It is based on the notion that a good design must in some way reflect the client’s own aspirations, philosophy and lifestyle. Our process encapsulates the notion that service delivery must be thorough to provide for successful outcomes. From the earliest stages we familiarise with and understand the site, its context, its constraints and potential in terms of orientation, direction of views, topography, neighbouring properties etc. Our process involves a commitment to applying practical and environmentally sustainable design principals that respond creatively to spatial planning, building controls, planning guidelines and client budget. We draw on specialist expertise in all areas from design through documentation to create unique spaces. Our first collaboration is with you. We listen. We recognise that your objectives are paramount in informing the design solution. We believe architecture is successful when it suits the needs of the client and the building occupants. Many architecture firms are known for signature designs. This may make for notoriety, but it means the aesthetic hasn’t been purpose designed. The CoLab team remains fluid. For every project a team is assembled most suited to create and challenge. Our resources are drawn from a pool of talent craving flexibility. Through the deconstruction of traditional hierarchy and work environments, ideas flourish and efficiency improves. Intrigued by humble daily rituals, Chamberlain Architects create crafted architectural solutions to enrich daily life. We call it the art of living. Our approach is built upon the relationships we establish together, with our clients. We see design as a collaborative process. We listen to our client’s needs and aspirations and distill these into a beautiful home. A fascination with light, space and material is woven through every project, but our architecture does not follow a predetermined style; rather it evolves from the dialogue that develops between us and our clients, with the end result being a project with a distinct personality. Quadrant Design Architects Pty Ltd is an architectural and interior design firm of thirty years experience. Directors Tony Jackson (FDID RMIT, B-Arch RMIT) and Pam Jackson (FDID, B-Fine Arts RMIT) head up a dynamic team of architects and designers, with an outstanding and wide range of experience in residential, commercial and heritage projects. 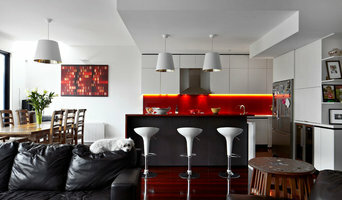 We design renovations and extensions, new contemporary houses, home updates, offices, retail and public buildings. We also specialise in sensitive design for heritage overlays. Our firm takes a collaborative approach to all projects, working closely with the client from the creation of the design brief, at every stage, through to the completion of the project. Our role as Architects and Interior Designers is to fully explain the various forms and approaches that can be taken towards each project, with consideration to the client’s budget, time frame and unique requirements. Clarifying these aspects in the early stages helps the decision making process, creating a more comprehensive understanding of the project as it progresses. OOF! 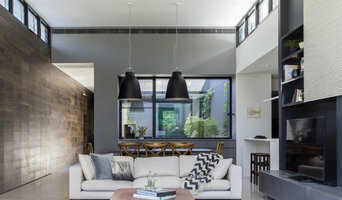 architecture is a St Kilda based design office devoted to fine grain projects ranging from single room renos to complete house make-overs, new houses and townhouses – with the occasional bar or shop thrown in. We believe that quality is always better than quantity and great ideas trump bling every day of the week.